Last weekend Australia’s Prime Minister, Tony Abbot, carried out a campaign promise that almost went unnoticed. 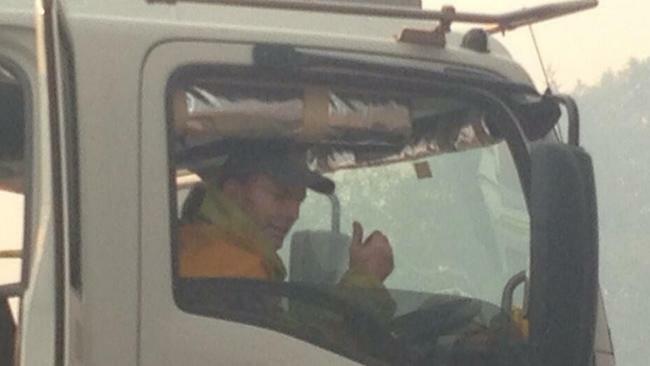 He stood on line with others in his volunteer firefighting company as they spent 14 hours fighting a bushfire. Prior to his election Abbot vowed he would keep serving with his local fire brigade, something he’s done since 2001. Leaders who keep their promises and who serve…where have we heard that one before?? This entry was posted in Gospel, World and tagged australia, bushfire, campaign promises, fire, servant leadership by RonKJones. Bookmark the permalink.